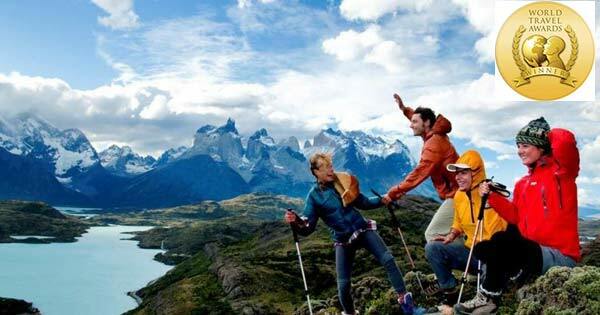 Hello dear friends, with "modest" pride, I can tell you that just like what happened with the Copa America Football Cup 2015 and 2016, Chile repeated the feat and for second consecutive year has been awarded the Best Destination for Adventure Tourism in South America, according to the World Travel Awards, the most prestigious organization in its field. To obtain the Prize, Chile had to compete with important referents of the tourism industry as Brazil, Argentina, Peru, Ecuador, Uruguay and Colombia. After the award ceremony held in the city of Lima, capital of Peru, the Undersecretary of Tourism of Chile, Mrs. Javiera Montes, stressed that "this Prize is tremendously important because it sets us apart as a Tourist Destination in the world and gives us the valuable opportunity to make known our natural beauty and the attractions that Chile offers in relation with Adventure Tourism." Likewise, the tourism authority added: "This award is a recognition to the decision that the Government of Chile took to increase resources to promote tourism to our country abroad and thus become a destination of international hierarchy. To position our country among the most attractive destinations in the continent the government is investing in international promotion about $ 13 billion (US$ 20,000,000) until 2018, reaching 110% more than in 2014 when the investment reached $ 6.5 billion ( US$ 10,000,000)". The recognition is well- deserved because Chile has everything a traveller could wish, covering a territory that spans over 6,000 km. from the Atacama Desert, the driest in the World on the North end of the country down to the Antarctic Continent. Precisely the main factors that explain the variety of climates and landscapes in Chile is the lenght of the country, which spans more than 39 degrees of latitude and reaching 72 if the Antarctic Territory is included. Its crazy geography also highlights The Andes with incredible mountains that are home to numerous world-class Ski Resorts; the Valdivian temperate rain forests, the only temperate rainy forests in South America; Southern Chile, recognized as one of the most beautiful places on Earth, full of unforgettable landscapes, slopes of volcanoes and mountains that in the Winter turn into crowded Winter Sports Centers, lakes, rivers and beautiful nature, which don't leave anyone indifferent; Chiloe Island, rich in Mythologhy, Gastronomy, traditions and nature. Other points of great tourist interest are Patagonia, geographical region almost isolated from the rest of the world, shared between Chile and Argentina, home to countless natural attractions, including Torres del Paine National Park, the Eighth Wonder of the World; on the other end of the country the Atacama Desert, covering an area of 181,300 km2, a very arid place but exciting at the same time, full of mineral resources, archaeological and tourist wealth; Easter Island, recognized worldwide as one of the best tourist destinations. Because in this corner of the world travelers will find everything they need to live one of the best adventures of their life, I think the prize conferred to Chile by the World Travel Awards is more than deserved.